Andre Gray and Isaac Success punished a below-par Newcastle and sent Watford into the FA Cup fifth round. As he had done in the previous round, Watford boss Javi Gracia made 11 changes for the trip to St James' Park but saw his understudies outplay Rafael Benitez's reshuffled side, whose record of not having made it past the fourth round since 2006 remains painfully intact. 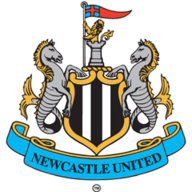 Gray's 62nd-minute strike and a late second from Success (90) were enough to settle a forgettable tie 2-0 in front of a crowd of 34,604 on a day when the magic of the FA Cup failed to arrive on Tyneside. The managers made 18 changes between them, a tacit signal as to where their priorities lie with the struggling Magpies clearly more focused on reigning champions Manchester City's visit to St James' Park in the Premier League on Tuesday evening and the Hornets keeping more than one eye on their short trip to face Tottenham 24 hours later. Watford made by far the brighter start with Will Hughes and Nathaniel Chalobah causing the home side early difficulties before Domingos Quina forced a fine fifth-minute reaction save from England U20s World Cup-winning goalkeeper Freddie Woodman with a swerving left-foot shot from distance. Woodman was grateful to see Chalobah's well-struck free-kick fly over the angle of crossbar and post seven minutes later after former Magpie Daryl Janmaat had been fouled in the act of shooting, and Success bundled wide at the near post from the Dutchman's cross as the Hornets dominated. 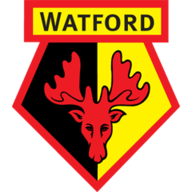 Watford showed greater organisation, dynamism and precision as they set about trying to break down a Newcastle side which had no focal point and seemingly little collective purpose. Benitez's men gradually started to turn the tide as they secured a more even share of the ball, but the lack of cutting edge which has so exercised the manager during recent transfer windows was there for all to see once again as they failed to muster a single attempt at goal by the time the half-time whistle blew. Gray threatened to spark some life into a drab affair four minutes after the restart when he was played in over the top by Hughes, but under pressure from the covering Federico Fernandez he slashed high and wide. However, Gray was more clinical with 62 minutes gone when, having seen Hughes pirouette into space before feeding him, he was given time and space to send a first-time shot past the helpless Woodman. The Magpies' response came from an unlikely source as full-back Javi Manquillo squirmed his way into the box and lifted the ball over goalkeeper Heurelho Gomes, only to see defender Ben Wilmot head clear on the line, but their hopes were finally dashed as the clock ticked past the 90-minute mark when Success struck from close range.